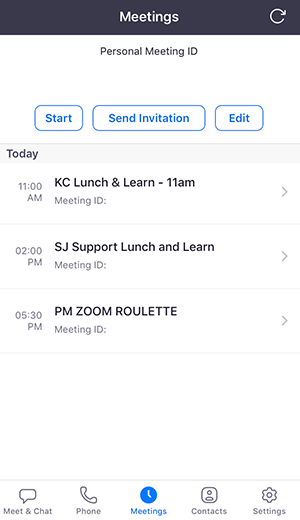 The Zoom mobile app for iOS can check your calendars for any Zoom meetings and add them to your upcoming meetings in Zoom. 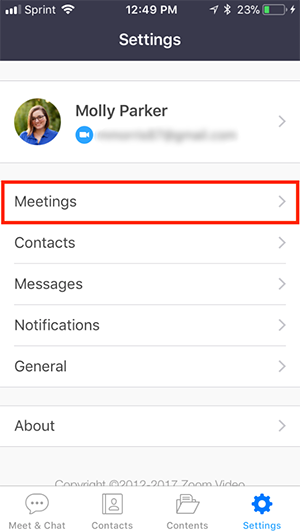 If you have reminders enabled, Zoom will send you reminders for Zoom meetings added to these calendars. Sign in to the Zoom mobile app. 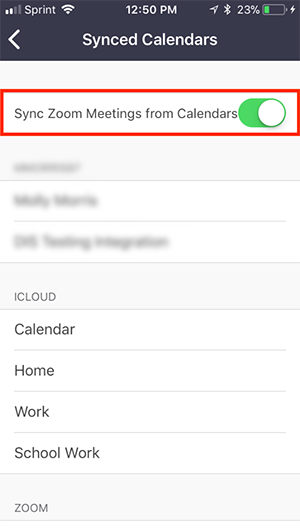 Toggle Sync Zoom Meetings from Calendars to on. 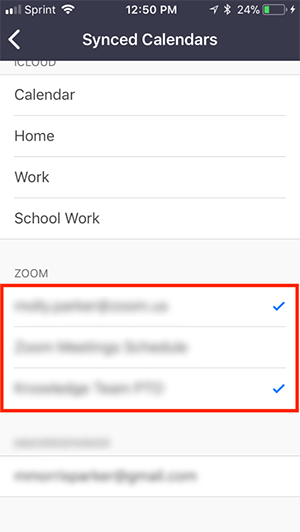 Tap any calendars that you would like synced with Zoom. A blue check will appear next to the calendars you've selected. Tap on the Meeting you want to join.